As part of my musings today I consider a photograph I took on Friday of a Lego Giraffe in Berlin. All of us like to think we’re seeing something special on our travels overseas, but with the internet and digital cameras and everyone immersed in a rising tide of instantly-available images, I find some of that magic is wearing a bit thin. I need only click on to Flickr.com to discover multiple images of the Lego Giraffe from multiple contributors, each of them probably equally unexceptional, with mine being the most banal of them all. Before digital cameras, I suppose it was only the poor bloke who worked in the one-hour photo place that experienced this awful disenchantment brought about by a plenitude of interchangeable views of the seven wonders of the world. By sheer volume and repetition of images, the specialness and unattainability of experience is being worn away, its erosion measurable in bits and bytes. An artist ought to give us a special view of the world. Today for me it’s possible to imagine a surreal vista of green sunlit fields of Cambridge in June, overlaid with a view of the Savannahs of Africa, a 1930s photograph of mud flats in Mississippi and the floodplains of Thailand as presented by National Geographic magazine. It’s a kaleidoscopic vision, but it’s coherent – all the geographical features match up. Hard by is my guide C Joynes in his sun helmet, his acoustic guitar and banjo under one arm, and a clutch of albums under the other – English folk from the Topic label, 1960s free jazz on Atlantic, old 78s by Skip James and Charley Patton, his mind constantly making cross-references between these and with the Folkways LPs of Indonesian and Asian music provided by friend Simon Loynes, who is within hailing distance. Images swim back and forth, birds fly backwards reversing time with their wings, mighty trees sink into the ground, and spectres rise from unknown locales. All this is accomplished in short, compressed musical utterances performed with the grace and lightness of touch of a true master. 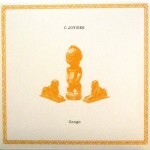 Hope some of this conveys how delighted I am with the new album from C Joynes, Congo (BO’ WEAVIL RECORDINGS WEAVIL46 CD) which arrived here in October 2011, the follow-up to Revenants, Prodigies And The Restless Dead released in 2009 by this same label in a similar “house style” package. 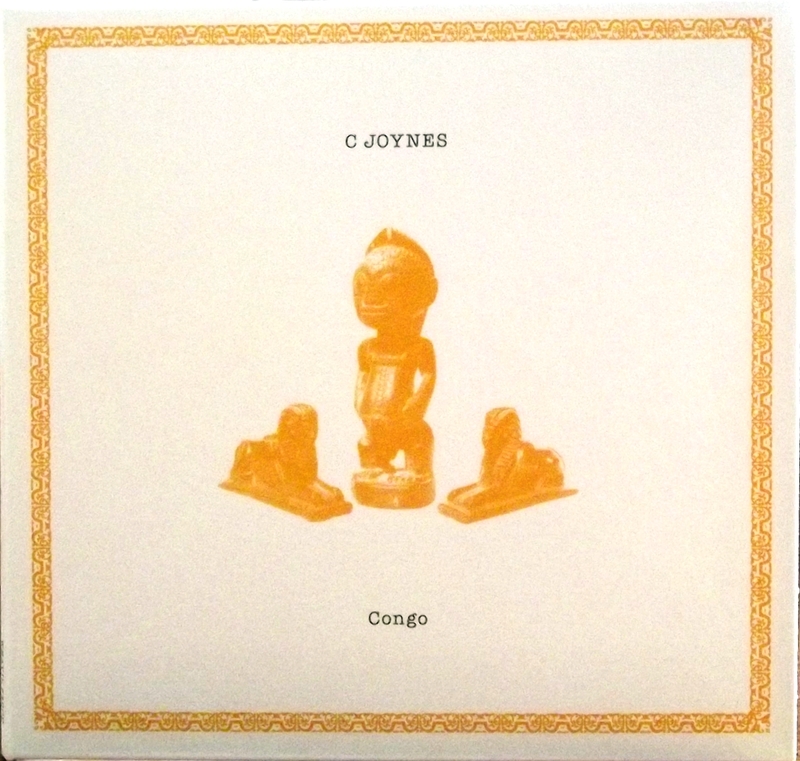 C Joynes continues to make gloriously beautiful instrumental music and, just like two years ago, I am barely able to write anything useful about it. In creating his crystal-clear blends of stirring melodies inspired by the folk musics of the world, Joynes plays mostly acoustic guitar and possibly the banjo, maybe some slide guitar on one track; he’s joined by his team of collaborators including Patrick Farmer, Dominic Lash, Simon Loynes and Richard Partidge, here credited as The Marsh Arabs and adding delicious touches of percussion, bass and stringed instruments. The violin work of Partridge is especially welcome, adding its scrapy and mournful drone sparingly at key moments, causing hairs to rise on the back of the spine. Further exotic voicings are added by Loynes (a.k.a. The Doozer) with his Indian Tarang, and his Phin (lute-ish) and Khaen (harmonica-ish) from Thailand. These additions are subtle, understated, not a jarring mix or a mannered where to buy kamagra in ireland contrivance; all natural, all good. Bruce Russell, famed New Zealand guitarist and musical connoisseur, contributes the sleeve notes to this one and he joins the long list of writers, myself included, who are amazed and astounded to the point of being flummoxed at Joynes’ fluency with a wide range of international musics from the past and presents configurations of our wonderful globe. On this album Russell can hear exciting confluences of Indian, African, English folk and American bluegrass music, delivered by Joynes with his characteristic playing style – assured, measured, accurate as a diamond, and with no attempt at flashiness. Joynes is not attempting to bewilder the listener with an indigestible stew that mixes up genres, styles and indigenous musics simply for novelty’s sake. It’s not incumbent on us to decode all the resonances and layers of meaning, nor to attempt to spot the joins (pun intended) where the early country blues tune cross-bred with Martin Carthy leaves off and the Java gamelan music informed by Congolese drumming begins, and I’m not a musicologist in any case. Joynes has done all that work for us, and with his intelligence, discrimination, intuition and sheer raw talent, is carefully and quietly crafting a fully-articulated musical vocabulary that is quite unique and his alone. No purist he, one who insists on preserving ethnic music through slow fossilisation. Nor does he need to extemporise on his guitar at length with 20-minute guitar-orchestra symphonies; he packs dense volumes of information into tunes some two or three minutes in length. We can be assured, as we listen, that there is an honesty and authenticity to every note he plays, and all we need do is open our ears and let the beauty come streaming in. I would add that on this occasion, what comes over very strongly is a sense of warmth and compassion as well, and it’s embedded in the very musical forms they play but also in the collaborative playing which is much more to the fore than previous releases that have tended to showcase Joynes solo. In his trusted team of cohorts and friends, Joynes is constantly arriving at a shared view of the mysterious other-worlds in past and present incarnations, and they are able to pass this on to us, giving us magical glimpses of ‘Joseph in the Sea of Corn’ or the terrifying ‘Ghosts of the Field’. As with previous releases, the musical tapestry is enhanced by a rich array of visual and written clues, scattered about the artwork of the release, and I will leave you to discover and interpret these in your own time, but the patterns continue to emerge – nature, fields, birds; musicological studies, tracing of sources, unlikely and unexpected connections; travel, geography, transport; personal and poetic names for things, such as ‘The Beast of Elham’ which is just too wonderful a name to simply be another musical instrument. Through these combined and oblique magical forces, Joynes welcomes you back into the world of the living and invites you to open your eyes and share the joy of simplicity. Also available as a limited vinyl LP with a silkscreened cover.